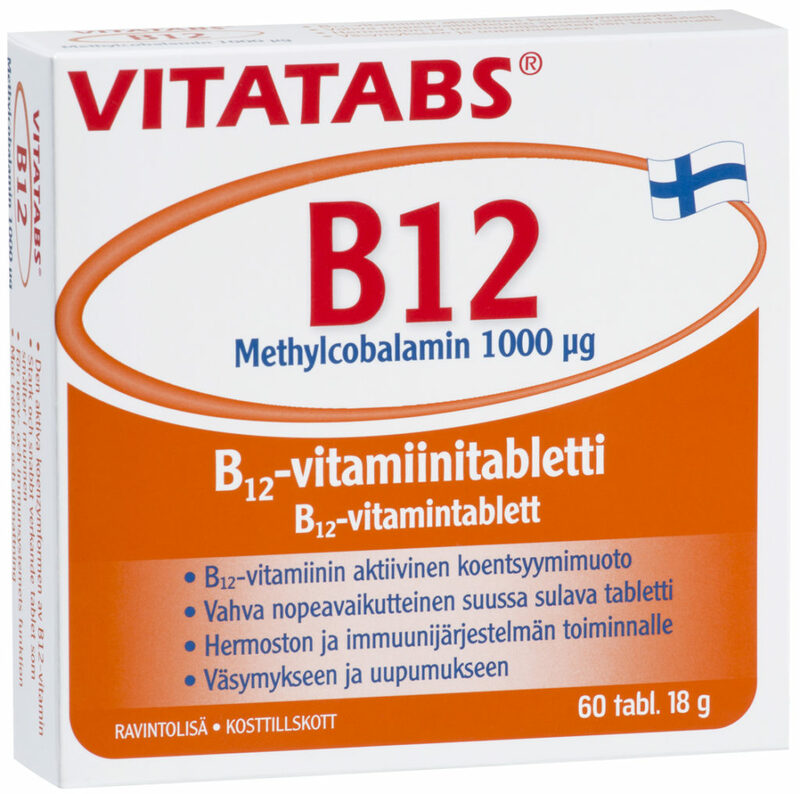 Methylcobalamin is an active coenzyme form of vitamin B12. Strong and fast-acting tablet dissolves in the mouth. 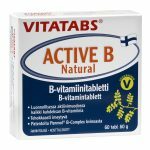 To support the nervous system and the immune system as well as to reduce fatigue and exhaustion. Especially recommended for the elderly and vegetarians. 1 tablet per day, can be dissolved in the mouth. Not recommended during pregnancy and breast-feeding. Free from lactose, gluten and yeast. Suitable for vegans. Methylcobalamin is an active and very effectively absorbed vitamin B12 in coenzyme form, and the only form of vitamin B12 that can directly participate in the metabolism of homocysteine​​. 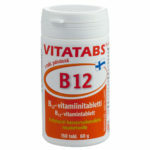 Vitamin B12 contributes to normal red blood cell formation, normal homocysteine ​​metabolism, the nervous system and the immune system and energy metabolism. It also helps to reduce fatigue and promotes normal psychological functions. Physical exercise, stress, nutritional malabsorption, use of oral contraceptives, poor nutrition, abundant alcohol consumption and irregular life-style increase the need for vitamin B12. 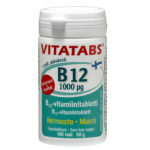 Strong Vitatabs® B12 methylcobalamin tablets contain vitamin B12 as methylcobalamin 1000 µg / tablet. The nice-tasting tablet dissolves in the mouth quickly, so it can be taken without water.